Seminole County is a highly sought county in Florida for many reasons. Residents enjoy convenience to shopping, fine dining, and entertainment. Seminole County is home to world-class golf courses, outdoor recreational and sports facilities, including numerous lakes. Seminole County takes the education of today’s youth very seriously. The Seminole County School District is a nationally recognized A-rated school system. SAT scores have exceeded state and national averages for 39 consecutive years! The district is also #1 in the state in STEM (Science, Technology, Engineering, and Math). 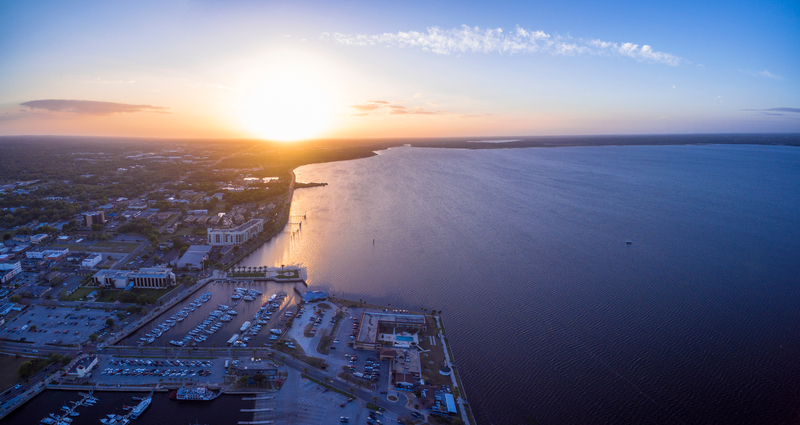 The luxurious, economically booming city of Lake Mary calls Seminole County home. Lake Mary is known for its luxurious lifestyle and abundance of business, shopping, dining, and entertainment opportunities. Numerous lakes spread throughout Seminole County offer an abundance of water activities, as well as opportunities for waterfront living. Altamonte Springs in Seminole County is home to shopping, dining, and recreation. The Altamonte Mall offers upscale retail shopping, such as Coach, Banana Republic, New York and Company, Pandora Jewelry, and much more. The city offers a variety of outdoor recreational activities including, hiking, nature, sports facilities, and venues for family picnics. Designated facilities are available for rental. Lake Destiny is located in Orange County Florida, just under two miles outside of Eatonville. Old Spring Lake Road runs the circumference of the lake. Spring Lake Hills Community is home to 229 residential homes, with opportunities to live waterfront. Spring Lake Hills Community offers amenities including access to the lake, tennis courts, basketball court, park, kids playground, and 24-hour guarded gate. Lake Florida is located in Altamonte Springs, with Lake Mary to the North and Maitland to the South. Lake Orienta is a large 135-acre lake with public access at the Lake Orienta Boat Ramp. Fishing, skiing, swimming, kayaking, canoeing, and water sports are permitted. There are several communities on Lake Orienta including Spring Gardens (some homes on direct canals), Barclay Woods (many lakefront homes), Sandy Cove Condos, Royal Arms Condos, Capistrano Condos, Oak Harbour Condos, Lake Villas Condos, and Lakewood Park Condos. Lake Adelaide is a 109-acre lake and about 20-feet at its deepest point. On average the depth is 7 feet. Adelaide Shores is a retirement community with 400 sites that features a dock, and a walking trail that goes along the lakeshore. The historical, economically booming city of Apopka has much to offer its residents. Apopka has state-of-the-art schools with magnet options such as medicine, engineering, agriculture, and a strong performing arts program. Outdoor enthusiasts can take advantage of the abundance of outdoor recreational opportunities. One of the more notable facilities is The Northwest Recreation Complex which covers 180-acres and has designated fields for soccer, lacrosse, flag football, baseball, and softball. There are also tennis and basketball courts, pavilions, and a walking trail. Apopka is also close to Wekiva Springs State Park where visitors can go canoeing, kayaking, and hiking. Bear Lake is 311-acres. Paradise Point on Bear Lake has a public boat ramp. Bear Lake Heights, Bear Lake Estates, and Mcneils Orange Villa are the planned subdivisions along the lake. There are also numerous lakefront homes that are not part of a planned subdivision. Casselberry is located in southern part of Seminole County, about 10 miles north of Orlando. The city offers opportunities for economic growth as there is space available throughout the city for commercial and industrial development. Casselberry is divided into two neighborhood districts. The first is called the Lakes District which was established in 2016 and the second is named the Gardens District, established in 2017. Lake Hurst in Casselberry is located to the south of Longwood, just east of Altamonte Springs, and northeast of Winter Park and Maitland. Chuluota is a small unincorporated city in Seminole County. The city sits to the southeast of Oviedo and to the south of Little Big Econ State Forest. Chuluota sits to the west of Charles H. Bronson State Forest. Horseshoe Lake covers 65 acres. The lake sits to the east of Winter Park and Maitland, near Little Big Econ State Forest and Charles H. Bronson State Forest. Lake Pickett is located in Chuluota and is 762 acres. Lake Pickett Reserve is a residential community, offering luxurious waterfront living and all Lake Pickett has to offer. The community features oversized lots and a private community boat ramp. Fern Park is an unincorporated area in Seminole County, situated in between Maitland and Casselberry. Prairie Lake is located in Fern Park Florida and covers 123 acres. Geneva is located in between Lake Harney to the west and Lake Jesup Conservation Area to the east. Geneva is home to The Museum of Geneva History. Buck Lake covers 159 acres. The lake is nestled in Geneva, which is to the Southeast of Osceola. 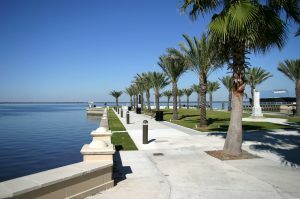 Lake Mary is one of the largest and most affluent cities in Seminole County. The city offers luxurious living in gated, golf communities such as Timacuan and the new multi-million dollar Griffin Park. Economically booming, Lake Mary offers plenty of opportunities for business ventures. Many notable companies have corporate headquarters in Lake Mary. Among these companies are Verizon, AT&T, Cingular Wireless, Mitsubishi Power Supply, and many more. AAA headquarters are located in nearby Heathrow. Lake Mary is part of the highly desirable Seminole County School District. Recreational opportunities are abundant and include Trailhead Park, which is a trailhead for Cross Seminole Trail, tennis courts, basketball courts, and a senior center. The Frank Evans Museum of History is an excellent place to learn about the history of Lake Mary and surrounding areas. Although there are plenty of shopping, dining and entertainment opportunities within the city, Lake Mary is located conveniently 20 miles north of Orlando. Enjoy national and global attractions such as Walt Disney World, Sea World, and the Kennedy Space Center. Altamonte Spring Mall is nearby and offers upscale retail shopping and dining. Big Lake Mary is located in Lake Mary Florida. Permitted lake activities include water skiing. Small Lake Mary is located in Lake Mary Florida. Water skiing is permitted on Small Lake Mary. Lake Estella is located in Lake Mary to the South of the body of water named Lake Mary and to the north-west of Seminole State Collge – Sanford/Lake Mary Campus. Catch and release fishing is permitted. Lake Estella has a designated area for the landing of seaplanes. The lake affords the opportunity to live waterfront and enjoy the picturesque water views. West Crystal Lake in Lake Mary covers 150 acres. Lake goers enjoy boating, canoeing, jet skiing, paddle boarding, and water skiing. There is also a 40-acre Island in the middle of the lake that is a popular camping site. Enjoy living waterfront with access to the West Crystal Lake. 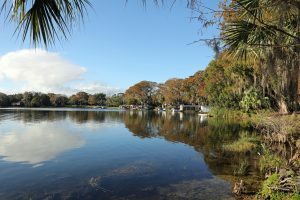 Crystal Lake, also known as East Crystal Lake is located in the heart of Lake Mary, close to shopping, fine dining, and recreational facilities. Crystal Lake Winter Homes of Lake Mary is a residential neighborhood that offers unique one of kind waterfront living on Crystal Lake in an area of Lake Mary rich in history. Longwood is a historical area of Seminole Countyand one of 13 stations along the Sunrail Commuter Rail line. 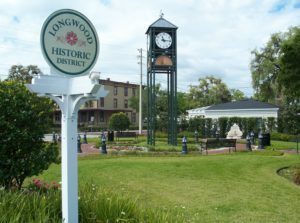 Longwood offers several recreational facilities, which includes 9 parks spread throughout the area. Leagues and camps are also available to the residents of Longwood. Top employers include South Seminole Hospital and Pemberton Attachments. in 2014 Longwood was named as one of the safest areas to raise a family in Florida by WXJT Channel 4. Lake Brantley, located in Longwood Florida covers about 288 acres. Waterskiing, personal watercraft, fishing, kayaking, and canoeing are just some of the activities available to lake goers. Several subdivisions have waterfront homes and/or community access. Sweetwater Oaks and Sweetwater Club have a private gated boat ramp and a beach area called “Sweetwater Beach” which includes additional amenities such as a party room, tennis, and picnic area. Lake Brantley club has a community boat ramp. Jennifer Estates is home to a boat ramp, fishing pier, and dock. Shadowbay which is comprised of single-family homes and attached homes has a private beach and access to a boat ramp. Brantley Hall Estates boasts numerous homes that are located on direct channels to the lake. Rice Lake is located in Seminole County Florida and covers 42 acres. The lake is to the South of Heathrow and Southeast of Alaqua Lakes. Fairy Lake is located in Longwood Florida and is situated between Lake Kathryn to the southeast and Lake Wildmere to the northeast. Maitland Florida is located to the south of Altamonte Springs. In addition to desirable residential living, the city offers several indoor and outdoor recreational facilities. Residents can enjoy everything from biking, walking, hiking to soccer, tennis, and racquetball. There are also several children’s’ playgrounds and picnic areas available. Maitland also offers a Senior Center with a wide variety of activities available. Lake of the woods located in Maitland Florida is a 51-acre lake. Skiing is permissible. Sea Planes also have access to Lake of the Woods. Wellington is a subdivision that offers opportunities to live right on the lake and enjoy all the lake has to offer. This neighborhood also has a boat ramp exclusively for community use. Sanford is one of the more notable cities in Seminole County. It is located above Winter Springs and Longwood and to the west of Heathrow. Sanford has much to offer residents and visitors alike. There are more than 30 outdoor recreational facilities, which allow visitors to engage in a variety of activities including, sports, jogging, hiking, biking, walking, picnics, and areas for children to play. Other notable attractions include The Central Florida Zoo, Paw Park of Historic Sanford, Central Florida Soap Box Derby, Wayne Densch Performing Arts Center, and The Sanford Farmers Market. Sylvan Lake, located in Sanford Fl, covers 188 acres. Lake Sylvan permits skiing, tubing, and fishing. The Glades on Sylvan Lake Phase 1 is a community that offers waterfront living with breathtaking views of the lake. Lake Markham is located in Sanford and offers one of a kind luxurious waterfront living that is also convenient to Orlando. Lake Markham Preserve is a guard-gated gated, waterfront neighborhood. The community features luxury Mediterranean and Spanish style homes on oversized lots. In total, the community has 61 homes, 19 are waterfront properties. Lake Ada is located in Sanford Florida conveniently to the Central Florida Greeneway Seminole Expressway. Due to the Lake’s unique shape, there are many residential opportunities nearby. Lake Minnie in Sanford Florida is located near Seminole State College and offers opportunities for waterfront living with private access to the lake. Fairlane Estates is one of the established neighborhoods with homes waterfront. This is a recreational lake with waterskiing and boating permitted. Silver Lake is located in Sanford Florida to the Southwest of the Orlando Sanford International Airport. Silver Lake offers residential living waterfront with private access to the lake and all it has to offer. Oviedo is located on the eastern side of Seminole County. Oviedo is currently expanding its downtown sector, as well as adding a new development that will be comprised of single-family homes, townhomes, and apartments. The new development taking place within the city will add additional dining and shopping opportunities to the residents of the city. Oviedo is home to 2 public reactional facilities which offer opportunities to play sports, a dog park, picnic shelters, amphitheater, and Cantina. Cypress Lake is in Oviedo below Lake Jesup and to the north-west of Chuluota. Deep Lake in Oviedo is unique in that it is a 90-foot natural sinkhole. This is one of the deepest lakes in Florida, and the deepest lake south of Lake Okeechobee. Deep Lake is located in the Big Cypress National Preserve. Winter Springs Florida is located just south of Lake Mary and convenient to all Lake Mary has to offer. Along with desirable residential communities and schools, there are numerous recreational parks and facilities throughout the city. Enjoy hiking, biking, walking, jogging, and team sports. Winter Springs also offers a dog park, therapy pool, and splash playground! Lake Jesup is one of the many lakes that are a part of the St. Johns River. 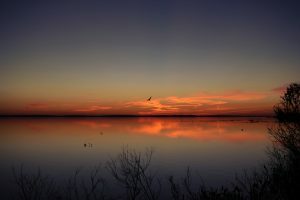 It is one of the largest lakes in Central Florida. 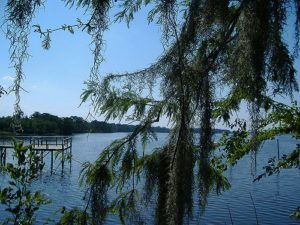 Lake Jesup is home to Lake Jesup Park, Overlook Park, and Black Hammock Fish Camp and Marina. Visitors are more than welcome to fish, boat (including airboats), and canoe. However, motorized vehicles are not allowed. There are plenty of living opportunities on Lake Jesup. St. Johns Landing is a gated community. Parkstone is also a gated community that offers a fishing pier, trails, a community pool and much more to its residents. Lastly, Lake Jessup Heights has a deeded boat slip. Winter Park Florida is an affluent area of Seminole County rich in history and the arts. Visitors and residents alike can enjoy a variety of music, theatre, performing arts, exhibitions, museums, and galleries in Winter Park. Outdoor recreational facilities are abundant with playgrounds, lake access, tennis courts, basketball courts, softball fields, picnic areas, and so much more! Bear Gully Lake is 136-acres. Bear Gully Point, Mathers Cove, Antigua Pointe, and Alamo on Lake Bear Gully are residential communities along the lake. Lake Florence located in Winter Park and covers almost 30 acres. This lake does permit water skiing. Residential, waterfront living is available. Lake Florence Preserve is a nearby upscale new construction community featuring many amenities. Lake Howell is a large 391-acre lake allowing boating, skiing, personal watercraft, fishing, kayaking, and canoeing. Lake Howell offers communities along the lake, as well as lakefront homes that are not in a planned subdivision. The communities include Sausalito Shores, Lakehurst (gated community with deeded lake access), Carmel by the Lake Condos (gated community with covered parking, dock, ramp, pool, and tennis court), Lake Howell Arms Condos, Marbeya Club Condos, and Lago Vista Townhouses. Highly sought after Seminole County Florida is home to numerous lakes that offer affordable and luxury residential living, as well as conveniences to fine dining, shopping, and entertainment. The lakes offer a variety of activities from waterskiing, canoeing, boating, paddleboarding, to jet skiing. Some of the lakes even allow for the landing of seaplanes. Looking for a waterfront home? Let Gitta Sells and Associates help you find your dream home!